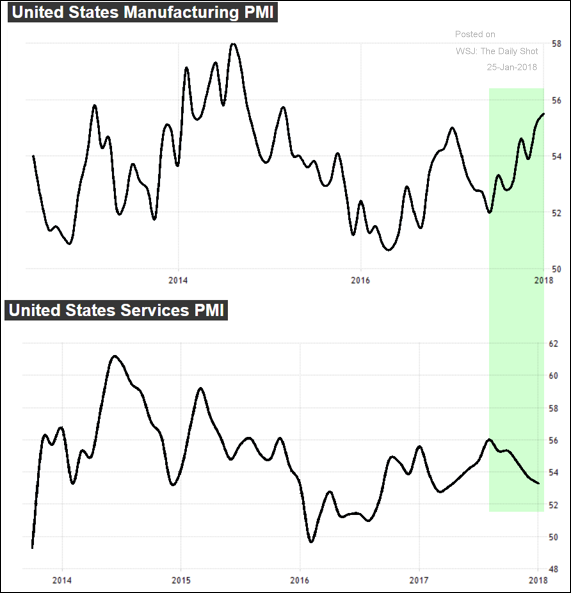 The United States: The January Markit PMI report on US business activity shows some divergence between manufacturing and services. 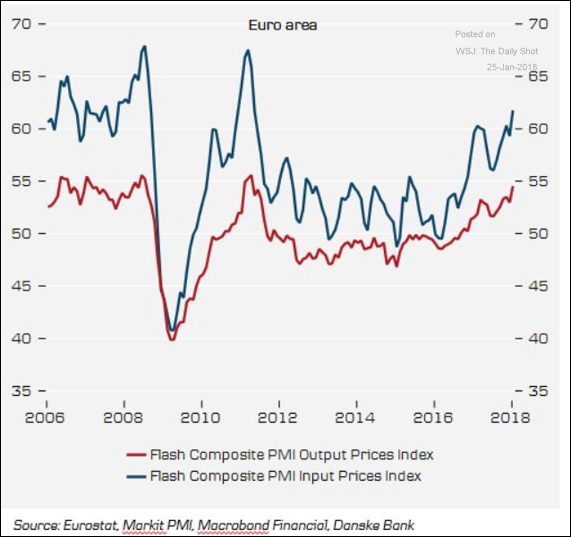 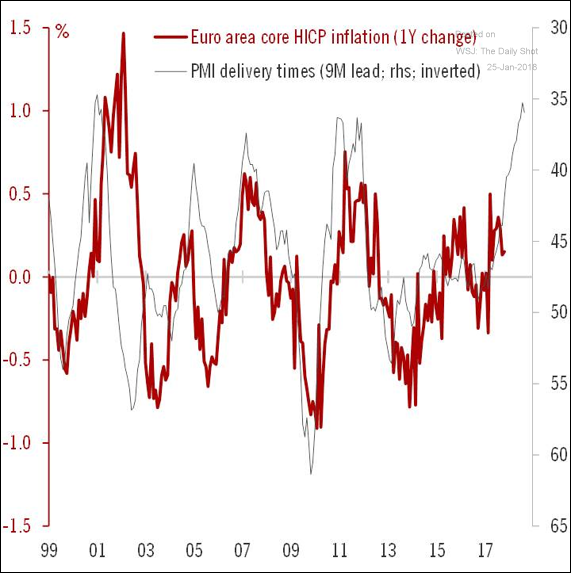 The Eurozone: There are signs of higher inflation down the road. 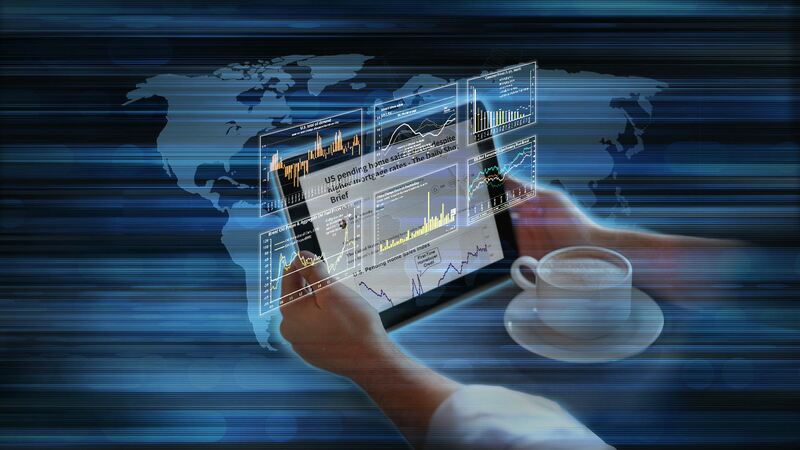 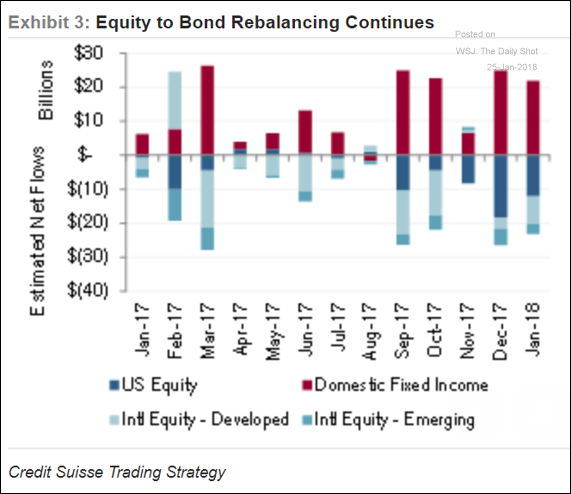 Equity Markets: Pension funds keep reallocating out of stocks and into bonds. 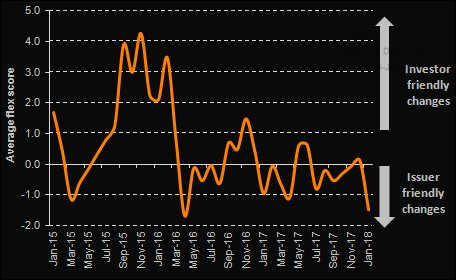 Credit: New loans continue to flex lower as the demand for yield product remains robust (for the definition, see “Price-Flex” here). 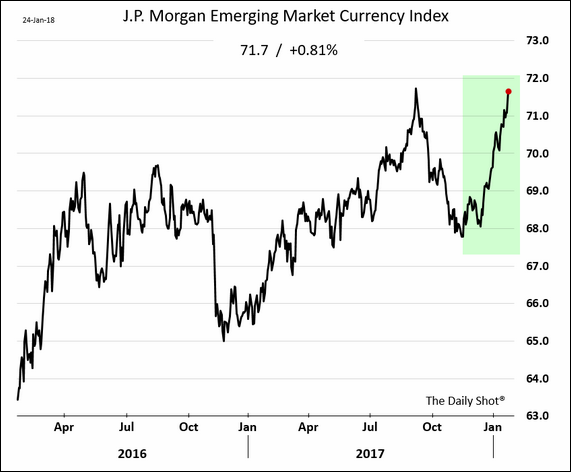 Emerging Markets: The JPMorgan EM Currency Index has fully recovered from the recent declines. 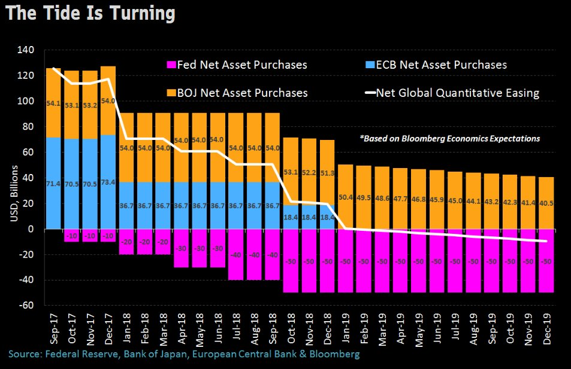 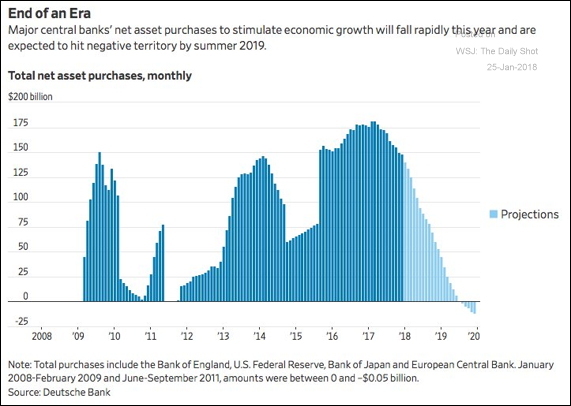 Global Developments: We should be switching from quantitative easing to quantitative tightening across the largest central banks in 2019. 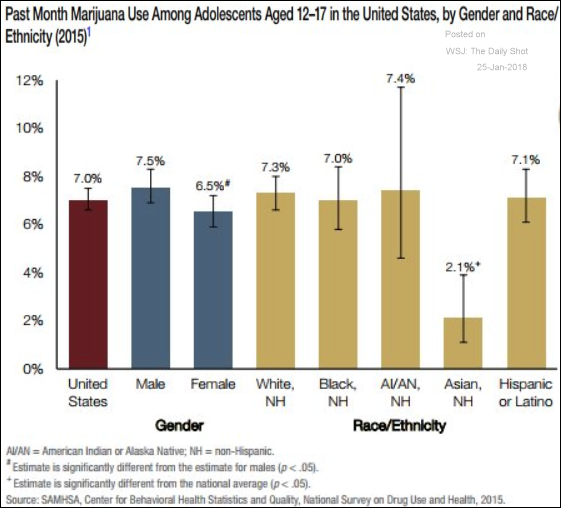 Food for Thought: Teens using pot.